Having a regular check-up with your dentist is not just only about your smile. Those visits are an important opportunity for him to check for signs of oral cancer. Oral cancer screening is an examination performed by a dentist to search for indications of cancer or precancerous conditions in your mouth. The objective of oral cancer screening is to identify mouth cancer early when there is more possibility for a cure. The objective of oral cancer screening is to detect mouth cancer or precancerous sores that may lead to mouth cancer at an early stage — when cancer or sores is still very easy to remove and most likely to be cured. Tobacco use, including cigarettes, cigars, pipes, chewing dip, using snuff. You should make enquiries from your dentist if oral cancer screening is appropriate for you. More so, you should ask about ways you can reduce your risk of oral cancer. When you are going for oral cancer screening, it’s imperative for you to know that there are different levels of oral cancer screening. The aim of the exam is to search for lumps and spots. Furthermore, to also search if anything looks unusual about the saliva that covers all the pink parts inside your mouth. More so, in the event that you ever notice any of these things yourself, don’t hesitate to call your dentist. In the event that your dentist sees something strange, you may need another appointment to check whether anything has changed. He may likewise propose that you have a biopsy when he takes a little bit of tissue from a territory that looks troublesome and sends it to a lab to test it for cancer cells. Your dentist may take the biopsy or allude you to a doctor who can. Remember that not all spots or lumps your dentist observes end up being cancer. In any case, in the event that they do, getting the condition early means you may have greater treatment choices. Along these lines, keep your regular meetings with your dentist so he can look for signs of an issue. 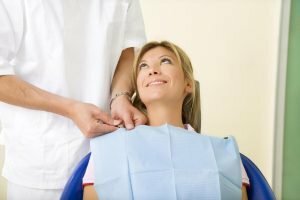 When it comes to oral cancer screening, count on DonEast Supreme Dental. Our dentist and staffs are dedicated to providing top-notch high-quality dental services to patients across communities in Nunawading, Balwyn North, Box Hill, Blackburn North, Box Hill North, Templestowe. Call us on (03) 9842 1475 or visit us 1062 Doncaster Road in Doncaster East. We are located near Tunstall Square Shopping Centre and offer on site parking for our patients. Doncaster East dentist also serving local communities in Templestowe, Balwyn North, Doncaster, Doncaster Heights, Donvale, Mont Albert North, Box Hill, Box Hill North, Kerrimuir, Blackburn North, Forest Hill, Nunawading and Brentford Square. © 2019 DonEast Supreme Dental. All Rights Reserved.